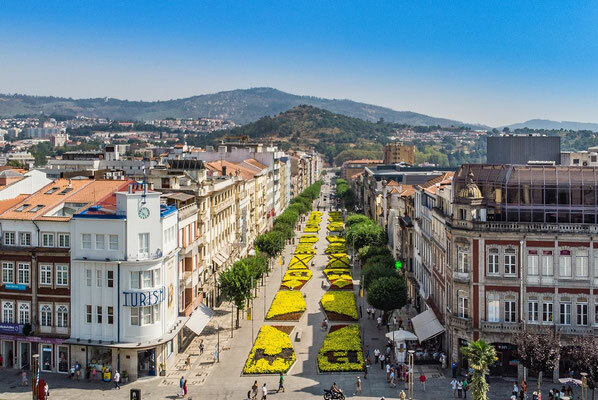 With over 2000 years of a very rich history, Braga is a city of huge beauty and heritage richness, which combines tradition with innovation, memory with youth and creativity with conservatism. 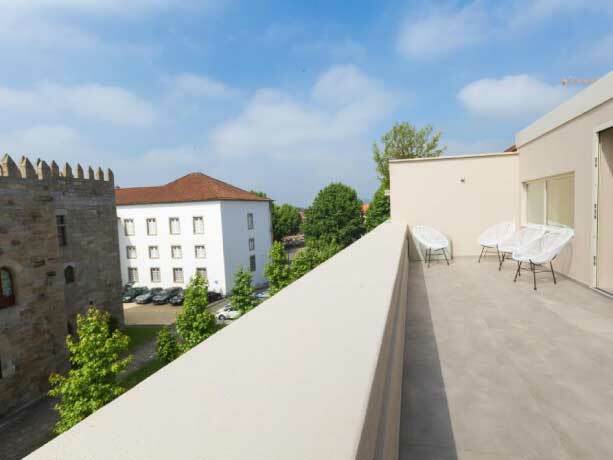 Braga has always taken a strategic and central regional role, from Bracara Augusta to the present day, thanks to the privileged geographical location and its dynamism. It plays a leading role in the economy, culture, knowledge and technology of the region and this centrality and relevance provides its inhabitants with an excellent quality of life in various sectors. The city history is deeply connected with Roman Catholic Religion, being known as the Portuguese Rome or the City of Archbishops because of the faith of its people, the number of religious manifestations and the number of churches and shrines spread by the entire city and its surrounding territory. 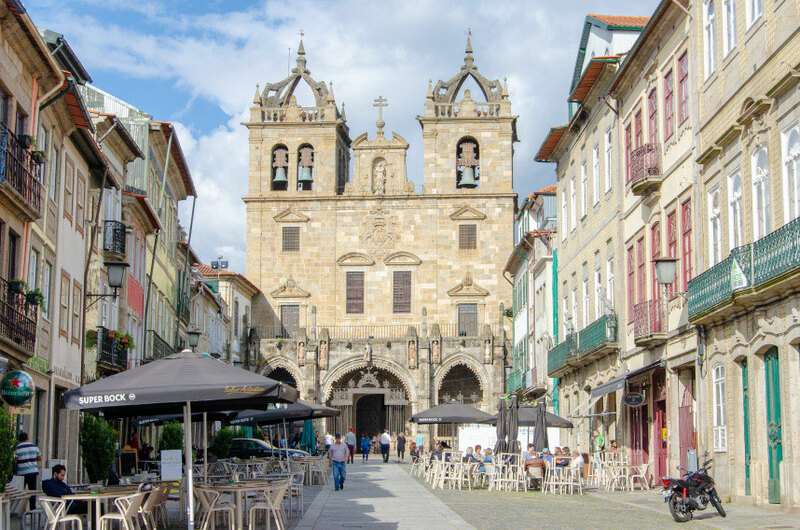 The Cathedral of Braga, due to its long history and artistic significance, it´s one of the most important buildings in the country. Braga presents places that by their intrinsic devotion and beauty, impose themselves as reference points to visit. 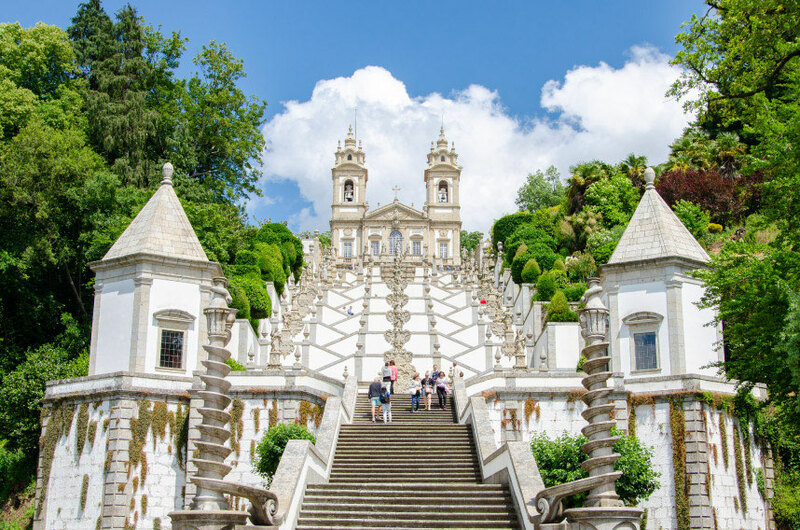 Mandatory reference to the European Baroque, which also evidences the very own evolution of the art of Braga, the Sanctuary of Bom Jesus do Monte is considered one of the greatest tourist-religious highlight of the town and also of the Braga region. Braga also has other types of events which attracts tourists, whether mixing the religious with the profane (like the celebration of the feasts of S. João) or simply popular (as in "Braga Romana" - a kind of return to the past or to update history, recalling the period when the city lived under Roman occupation and its importance at that time). 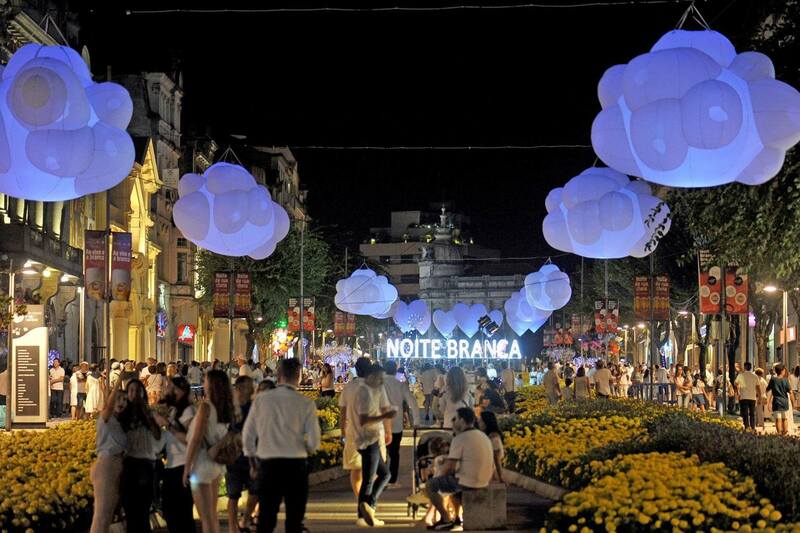 The city is also the stage of Europe’s biggest White Night. 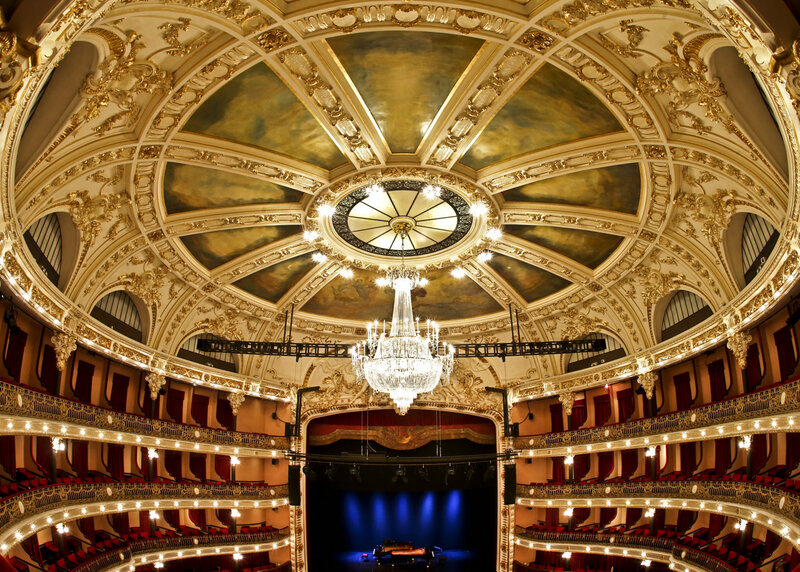 During 48 hours you can listen to great concerts, explore artistic installations and see innovative performances. 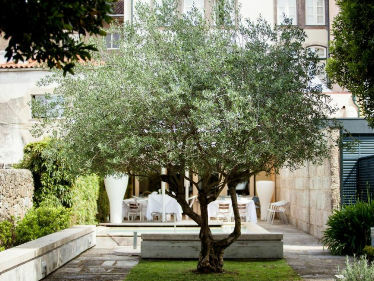 Visiting Braga is like taking a time travel inside modernity. The old city and the traditional religiousness – always imposing on its richness and majesty –coexist with the entrepreneurship and young spirit shown in vital areas such as culture, commerce, gastronomy, industry and services. The Cathedral of Braga is the oldest cathedral in the country, which originated a popular saying in Portugal: "older than the Cathedral of Braga”. The construction started before Portugal was a nation, which explains why the whole city has grown around the Cathedral itself. With several architectural styles visible on its facades and walls, namely Romanesque and Gothic, with a mostly baroque interior, over the years the Cathedral has incorporated five chapels, two cloisters, a Galilee, an Apse chapel, a chevet, and a sacristy. 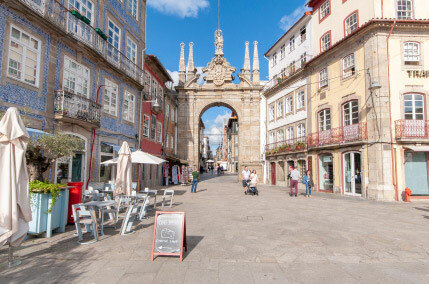 Considered to be one of the greatest symbols of the city, this stunning structure welcomes those who come to Braga. The Archbishop D. Diogo de Sousa (responsible for works such as the Arcada and the chevet of the Cathedral) ordered the construction of the Arch in the 16th century (probably in 1512). The concept of the Arch of the New Gate was considered innovative at that time: since there were no longer wars, a door would not be necessary. Today, the Arch leads visitors to its historical arteries. The Sanctuary of Bom Jesus and its surrounding area is the most prominent place in the tourist postcards of Braga. 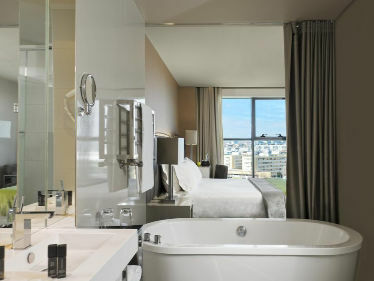 Its architectural complex is majestic, with predominantly religious, baroque, rococo and neoclassical architecture. 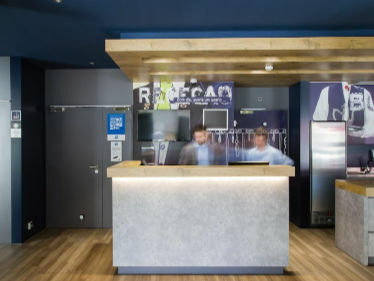 To reach the top visitors can use the elevator, which is a water-powered funicular, the first built in the Iberian Peninsula, or climb the 500 steps that form the different staircases, and take some time to contemplate the views over Braga on the way up. 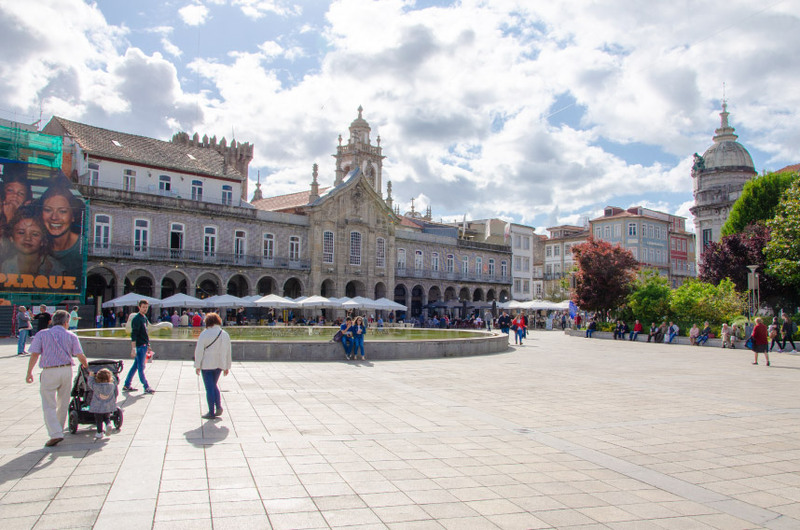 The Arcada is the central point of Braga. It is in this place, designed by Archbishop D. Diogo de Sousa in the Middle Ages, that visitors can feel the true aura of Braga. From 1715, built on the initiative of Archbishop D. Rodrigo de Moura Teles, this Arcade consists of eight arches on each side and three arches in the central part, a total of 19 arches. 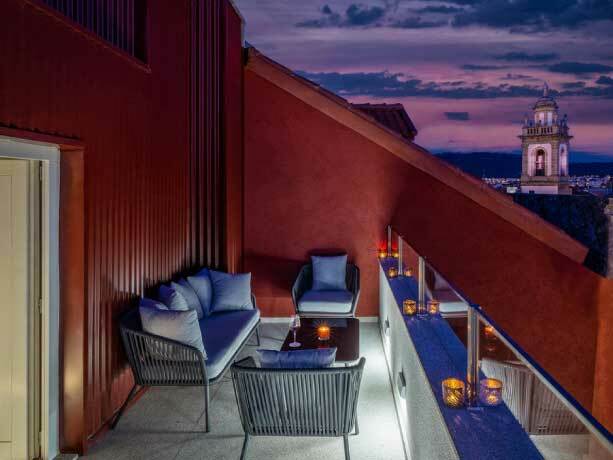 In keeping with its original purpose of socializing and meeting people, this is where two of the city s most renowned cafes are located: Café Vianna and Café Astoria. 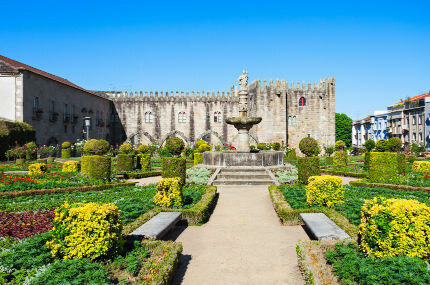 The Jardim de Santa Bárbara is a distinctive public garden with bright colors emanating from its well tended-flowers. 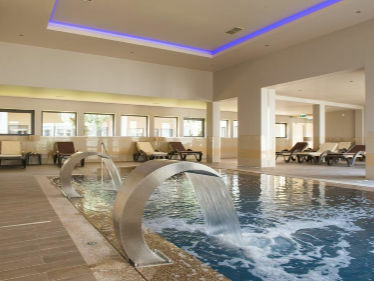 This is the ideal refuge for anyone looking for a quiet space, perfect for reading a book or sharing love pledges. 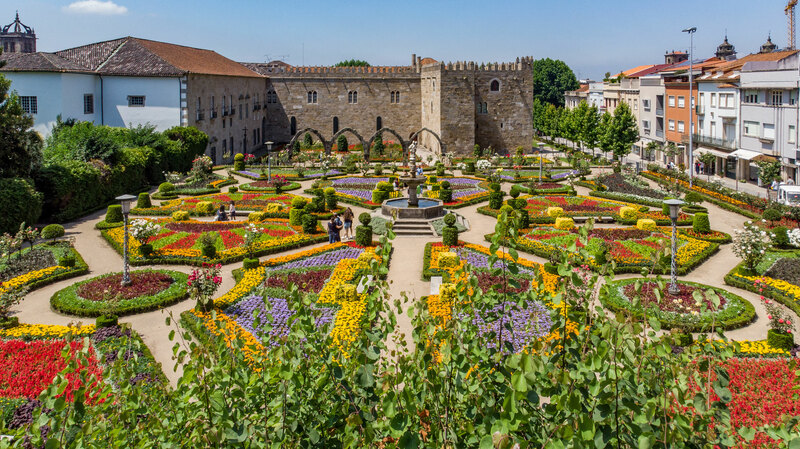 In the middle of the garden, there is a statue of Saint Barbara on a seventeenth-century fountain, which turns this garden into one of the most beautiful places in Braga. At the bottom of the garden, the high stone wall with crenels resembles a castle, turning this place into a special beauty.